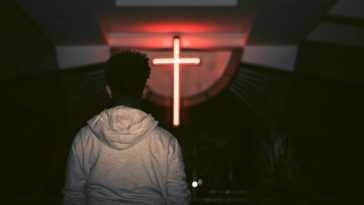 If you had to guess, what do you think is the number one reason unchurched people choose a church to attend? It’s not the music. It’s not the lights. It’s not even the kid’s ministry – at least at first. Thom Rainer and his team did research in this area and discovered that 90% of unchurched people gave the preaching as the reason they chose a church. WOW! Gallup did research in this area, too. They determined that sermon content is what appeals most to churchgoers. More specifically, churchgoers are hungry for sermons that teach Scripture and are relevant to life. All that to say, the sermon is important in SO many ways! But I know the struggle and the grind that comes with preaching. I understand that you’re busy. I understand that every week can be drastically different – sometimes making your sermon prep process a jumbled mess. Oh, and Sunday comes every week. And that fact, in and of itself, can be stressful when you’re working from scratch every week. And heck, that’s just weekly prep work. There’s so much more to preaching. Sermon writing is often a grind, right? And surely you feel the pressure to bring it with a sermon perfectly crafted that will keep people listening, stir them up a bit, and see them respond in some tangible way week in and week out. *Insert cheesy TV voice* But wait, there’s more! Good sermon delivery often feels so subjective that you don’t even know where to start in order to improve. 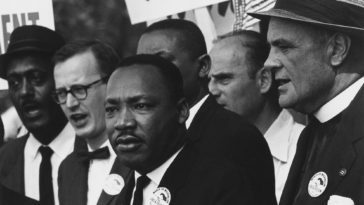 And if all that weren’t enough, preaching can be painfully isolating. 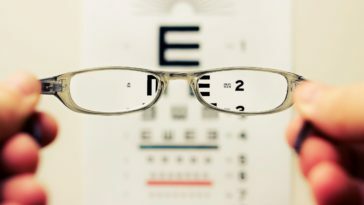 Then, add the overwhelming number of cultural issues our people are facing and struggling to deal with… And let’s not forget about our ever-changing methods of communication that present great opportunities for the furthering of the gospel message but can often be overwhelming to church leaders. Whew. I’m sweating and it’s only Monday! But what’s the point of all this? I’m glad you asked. We have been hard at work putting together the most helpful, practical, and transformative resource we’ve ever created. And we’ve been doing it all for you. It’s called Sticky Sermons Academy. 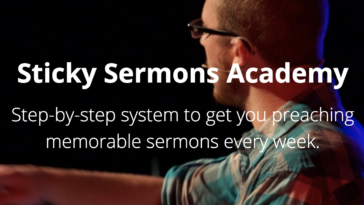 Sticky Sermons Academy is an online course and private community designed to help you preach memorable sermons week in and week out. A sermon prep process that is for YOU and YOUR context – not mine or someone else’s. 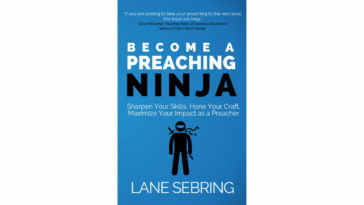 A plan to get FAR ahead on your sermon planning and the tools to do it effectively. A proven framework for sermon writing that adopts the elements of story so people will listen and respond to your messages. Storytelling skills that will empower you to tell stories and anecdotes in the most effective way possible. 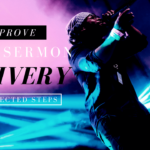 Sermon delivery techniques to focus on, work on, and improve on that will take your messages to a noticeably other level. The how-to of preaching the gospel in every sermon and addressing cultural ideas in a gospel framework. 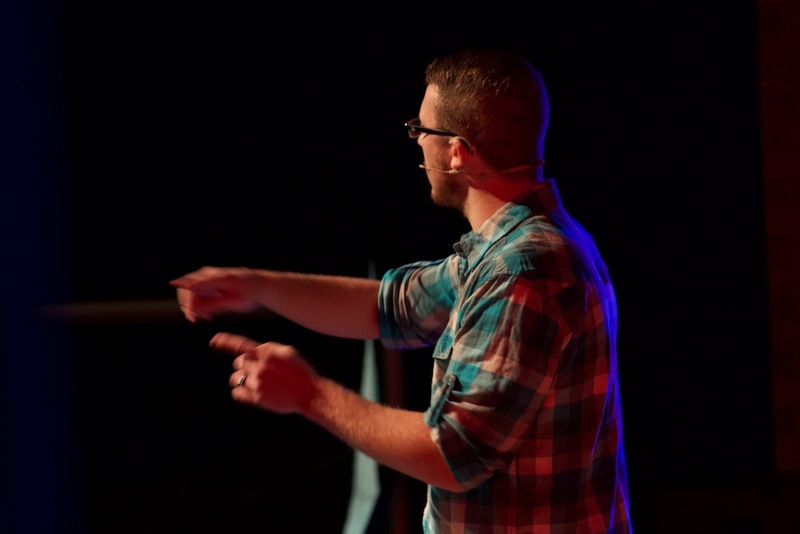 Strategies, tactics, and the how-to of extending your sermon past Sunday through digital communication channels – i.e. social media, email, blog, video, audio, etc. 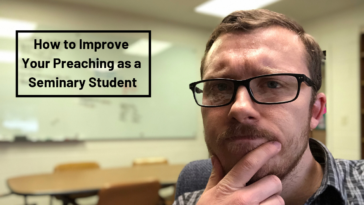 And on top of this, we have a bonus section of video interviews where we dive into the many angles of preaching sticky sermons with pastors and church communicators of all church sizes and contexts. We’ll even be adding more in the future. 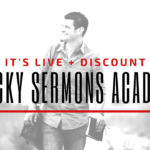 We believe that Sticky Sermons Academy can be a gamechanger in your life if you commit, work hard, and give yourself to the process.